His Royal Highness Prince Willem-Alexander of Oranje Attends the 30th International Congress Genealogical and Heraldic Sciences Conference. 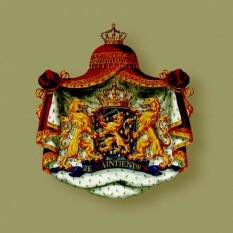 On September 24, 2012, His Royal Highness Prince Willem-Alexander of Oranje was in Maastricht to attend the opening of the 30th International Congress Genealogical and Heraldic Sciences conference. Upon his arrival, the prince was warmly welcomed by representatives from the Dutch Genealogical Society and the Central Bureau for Genealogy (organizers of today’s event), the Mayor of Maastricht, Mr. Onno Hoes as well as the Governor of the Province of Limburg, Mr. Theo Bovens. Next His Royal Highness Prince Philippe of Belgium Attends the 27th Symposium on Fusion Technology (SOFT).